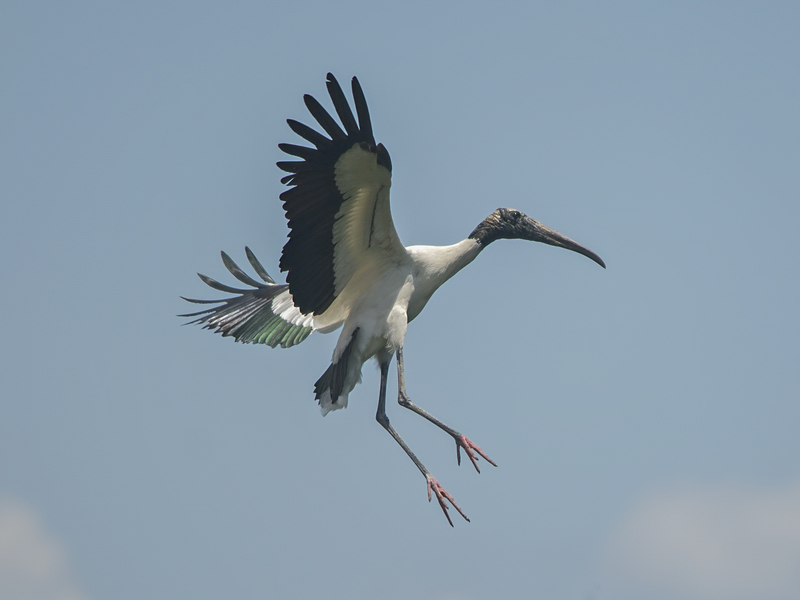 Have you ever seen a Wood Stork? Wood Storks nest in trees, often in big colonies, and only when conditions are just right for them. Because of their feeding technique, they thrive in the early part of the dry season, when receding floodwaters concentrate fish in small pools. But this method of feeding is effective only when the rainy season is normal. In some years, increased droughts brought about by global climate change prevent Wood Storks from breeding at all. 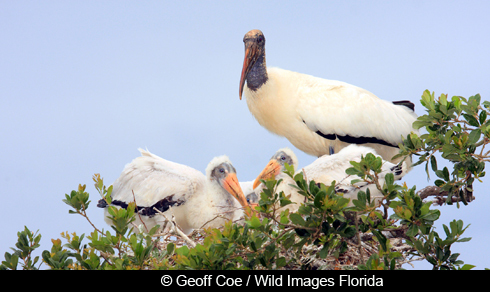 Have you ever seen a Wood Stork? Find us on Facebook and share your story. With their big bill, naked head and long legs, Wood Storks look ungainly, almost ugly, but they are perfect at what they do. Have you ever seen a Wood Stork? Find us on Facebook and share your story. For BirdNote, I’m Michael Stein. Sounds of the birds provided by The Macaulay Library of Natural Sounds at the Cornell Lab of Ornithology, Ithaca, New York. Wood Stork colony 36980 recorded by Oliver Hewitt; Word Stork bill clapping 135422 and ambient recorded by Michael Andersen. 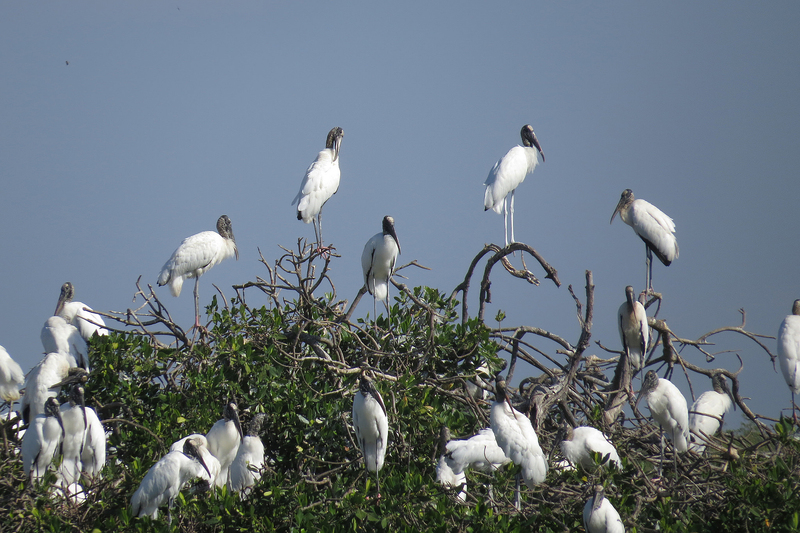 Wood Stork conservation in action!